I’m officially freaking out because it’s June. Even though I haven’t read at all much this year, I still wanted to take part in this fun tag. That way I’ll be able to look back at the end of the year and see what I was reading way back in June! Maybe by then I won’t be 9 books behind on my Goodreads challenge. I’m so excited to do this tag, because although I’ve read only a little this year, I’ve discovered a lot of amazing books and some of my new all-time favorites. Without further ado, let’s get started! This is the hardest question ever! (Says every bookworm ever.) I’ve been lucky enough to read so many books that really left an impact on me. 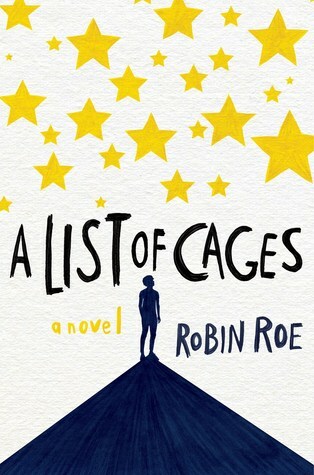 I think it’s going to have to be a tie between A List of Cages (my review here) and They Both Die at the End (my review here). If you haven’t read either of these…please do, they’re amazing! Literally so many?? So many bloggers have been doing amazing “new release” posts that cause me to add about 10,000 more books to my TBR. I’m slowly drowning under its weight, but it’s fine. These were all published in May, and are all books I really want to read soon. I’m hoping they become available in my library soon so I can read them! Honestly, I’m not 100% sure? But I do know that I absolutely can’t wait for What If It’s Us, by Becky Albertalli and Adam Silvera (!!). The only book I’ve read that I completed despised was 1984, by George Orwell. I had to read it for school, and while I know it’s a classic and maybe I shouldn’t despise, I just do. Okay, maybe I just disliked it because I was forced to annotate it? And because I had to write essays about it? Whatever the reason, I don’t recommend it and will not be rereading it (even though I own a copy because yay! annotations!). 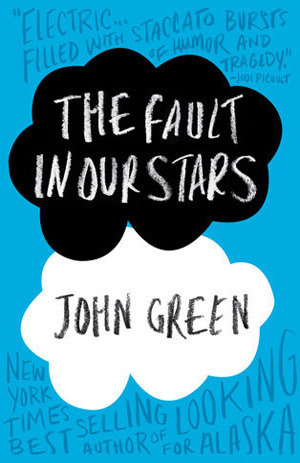 This definitely has to be The Fault in Our Stars, by John Green. After everything I’d heard about it, and after waiting so long to jump on the bandwagon, I really didn’t know how I’d end up feeling about it. But I LOVED it! I can see myself reading it again in upcoming years. Does it surprise anyone that the answer is Adam Silvera?? Okay, how am I supposed to remember all the amazing characters from books I read way back in January? *cries* I may be leaving someone out, but I have to pick Adam from A List of Cages. I did way too much gushing about him in my last post, but if you missed it: he’s sweet, kind to everyone, clumsy, has the best relationship with his mom, takes in a younger character like a brother, and just all around is the best guy. I wish he weren’t fictional. 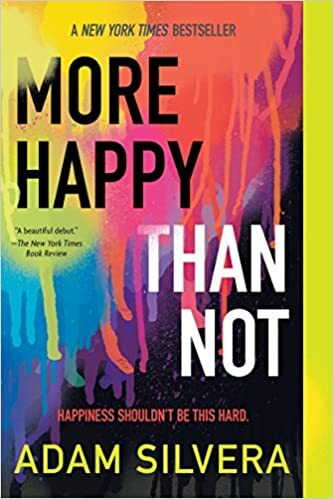 I don’t know that a character from a book I read this year is my new all time favorite character, but one of my favorite character out of all the books I read would have to be Starr Carter, from The Hate U Give. She’s so strong and brave and so many other things that I don’t even have the words to describe. I admire her so much as a character! I cry a lot in books. And, as it turns out (as I look at my Goodreads), I’ve read a lot of books this year that broke my heart into a million fragments. I’m looking at you, Adam Silvera. I apologize for the long list, but how could I pick just one? So many books have contributed to slowly breaking my heart. 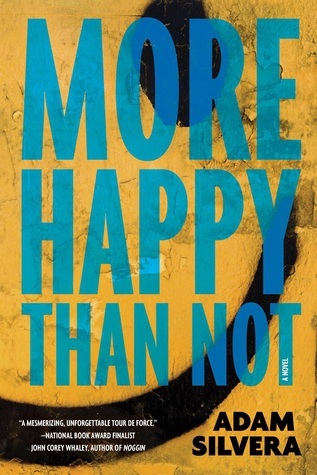 This has to be Happily, by Chauncey Rogers (my review here). The only one I’ve seen so far was the 2018 A Wrinkle In Time movie, and I really liked it! I know a lot of people disliked A Wrinkle In Time, but the movie was really well done. I enjoyed that book so much, and genuinely loved writing the review. I was typing a mile a minute because I had so, so much to say and all I wanted to do was share my love for the book with everyone else! I’ve only bought a few books this year (thanks to Barnes & Noble gift cards), and I’d have to say the most beautifully, cover wise, is More Happy Than Not. 15. What book do you need to read by the end of the year? I’m going to take a leaf from Lily’s book and say… a ton of books on my TBR. I just want to get as much reading done as possible! And that concludes my freak out! It was really nice to look back over what I’ve read this year and remember some favorites in particular. 🙂 I know by the time this post goes up, June will be close to being over (what? ), but there’s still time to do this mid-year tag. As always, no pressure at all to do this if I nominated you! And if I didn’t and you’d like to do this, go right ahead (and let me know if you’re doing it so I can read your post). So, tell me about your 2018 so far, reading wise. Favorites? Least favorites? What books made you cry? Have you read any of the ones I’ve mentioned? I’d love to chat with you in the comments. Photo by Beatriz Pérez Moya on Unsplash >> Credits for the image I used in my featured image! Thank you to the photographer. a wrinkle in time! 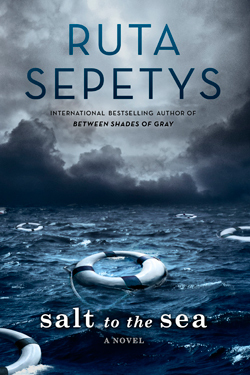 I haven’t watched the movie yet, but I enjoyed the book. Aw, thank you! Hopefully I’ll be able to catch up soon. 😉 Oh, I just looked up The Bear and the Nightingale, and it looks super good. I’ll have to check it out. Thank you for the recommendation! Aww I’m SO GLAD you loved A List of Cages and They Both Die At The end!! Agreeeed that they are so so good (and cry worthy in the best possibly way). 😭💛💛 And I need to read More Happy Than Not! Kind of hoping to read it this week but like…I have such trouble planning my tbr so who knows.😂 And I’m glad you’ve found so many good books to love! Oh, me too! I think I may have slightly copied you on putting Always Never Yours on the list, haha. 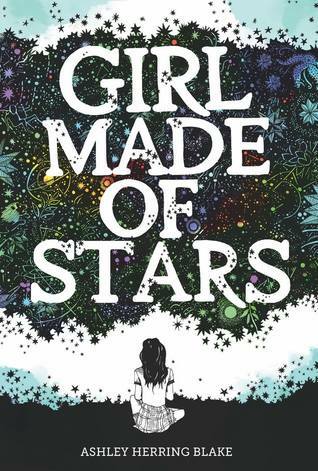 Ooh, have you read Girl Made of Stars? If you did, what did you think of it? *clapclap* I love the Mysterious Benedict Society! *screams* Me too, it’s the best! YES YES I am so happy you did this tag, Olivia! 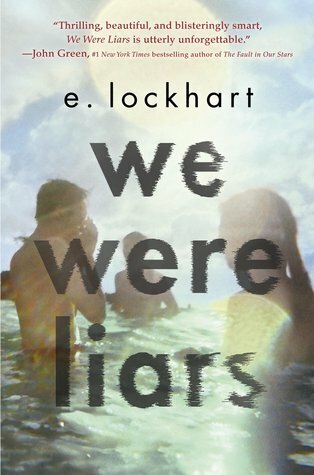 And oh, We Were Liars made me cry so much – I did NOT see that coming hahaha. 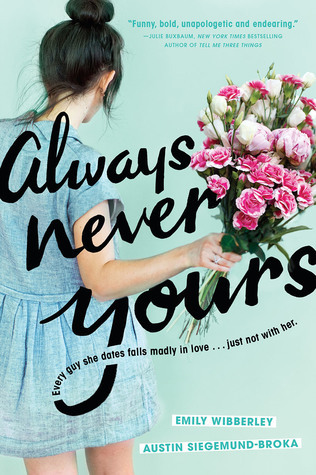 Ohh, I’m so excited to read Always Never Yours (I think I saw it from your blog post). The cover! And the Goodreads summary! 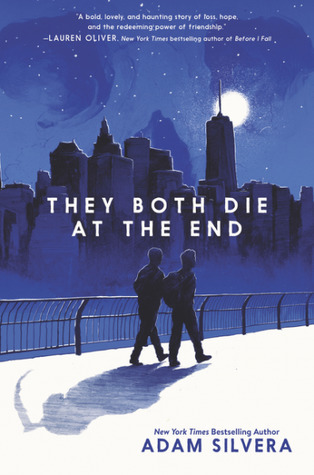 That sounds good, I will definitely keep reminding you to read They Both Die at the End. I haven’t read any besides More Happy Than Not and TBDATE, but I really want to read any of his others. I agree, not only is he a great author but he genuinely seems like such an amazing person, too. Me neither! It’s probably the biggest plot twist I’ve ever read. 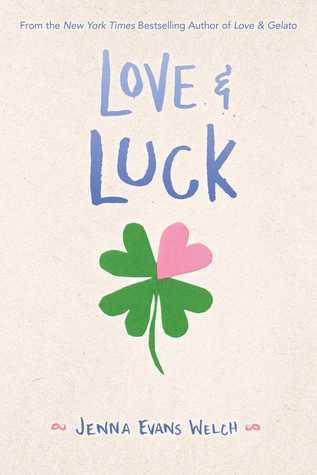 I saw Love and Luck but I didn’t pick it up- do you remember what it’s about? I love the covers of Girl Made of Stars and Always Never Yours. Yes, Mysterious Benedict Society!! Hm, I would say 2018 has been pretty good reading wise. The Story of Owen was very close to making me cry. THUG! That was a good book. Favorites: I just read a book called 84, Charing Cross Road. I wouldn’t say it’s a favorite, but it was good. I think it’s about a girl who travels to Ireland, and other than that I don’t know the plot. I love reading ‘traveling’ books, so I’m excited. XD Yes, those covers are so pretty…and yes! I’m really glad 2018 has been good reading wise for you! 🙂 I haven’t heard of any of the books you mentioned, so I’ll have to go look them up. Thank you for commenting, and by the way I really like your new profile picture! Oh, interesting, I hope you like it!! Hm, I don’t feel especially drawn to traveling books, but that’s probably because I haven’t read many in the first place. Can you think of your favorite books that include traveling off the top of your head? Ooh, I hope at least one of them intrigues you. You’re welcome and thanks!!! Thanks for the recommendation! Ooh, I’ve heard good things about Amy and Roger’s Epic Detour- but I didn’t really like The Unexpected Everything. Of course! Oh yes, I wasn’t the biggest fan of The Unexpected Everything, either. :// Definitely my least favorite of Morgan Matson’s books! Okay, whew, I’m glad I wasn’t the only one. That’s the biggest reason why I haven’t read her other books, like Since You’ve Been Gone and Amy and Roger. Thanks for sharing! Did you ever read a Wrinkle in Time? Awe, thank you so much!💓I just looked at your blog and it’s so cute as well! yesI i screenshotted them and will place them on hold! what is your all time favourite book? Yay! Ooh, that’s such a hard question. Of all time, I think I would have to say Anne of Green Gables?! But I honestly don’t know, another favorite is They Both Die at the End. I LOOOOVE seeing A List of Cages on your list. I feel like that book is so underrated and it was SOO GOOD????!! !